Buying a Courtesy Loaner Vehicle from Chattanooga Land Rover Porsche Jaguar gets you a vehicle that's Like New but at a pre-owned price. This Courtesy Loaner Vehicle is dealer-maintained, has low-mileage, and is eligible for special discounts or incentives. Includes Porsche Approved Certified Pre-Owned Warranty Coverage. Leather, Nav System, CD Player, Dual Zone A/C, Power Liftgate, Aluminum Wheels, All Wheel Drive, Bluetooth, iPod/MP3 Input, Satellite Radio, The Cayenne's specialty is peerless stability on curvy roads, yet it's also decent in an off-road environment. -Edmunds.com. EPA 24 MPG Hwy/18 MPG City! Cayenne trim. Rear Spoiler, MP3 Player OPTION PACKAGES PREMIUM PACKAGE: Power Steering Plus, Bi-Xenon Lighting System, Porsche Dynamic Light System (PDLS) w/dynamic range control, headlight cleaning system and auxiliary main-beam headlights, Front Seat Ventilation, seat squabs and backrests in the front featuring three-stage ventilation and separate controls for left and right, 14-Way Power Seats, memory for driver and front passenger seat settings, steering column and exterior mirror positions and settings for lights, wipers, air conditioning, door locking, instrument cluster and PCM on the key remote, Memory Package, Front Seat Heating, Comfort Lighting Package (PP6), Automatically Dimming Interior & Exterior Mirrors, Reversing Camera w/Front & Rear ParkAssist, a color camera image w/dynamic guidelines on the Porsche Communication Management OUR OFFERINGS From the first time we opened our dealership's doors in April of 2006, we have stayed true to our roots as a family-owned business. In otherwords, quality always wins out over quantity at Porsche Chattanooga. Pricing analysis performed on 2/5/2019. Horsepower calculations based on trim engine configuration. Fuel economy calculations based on original manufacturer data for trim engine configuration. Please confirm the accuracy of the included equipment by calling us prior to purchase. 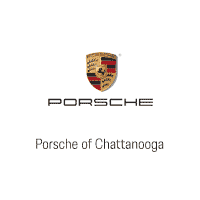 CHOOSE THIS PREVIOUS SERVICE COURTESY VEHICLE Buying a previous Service Courtesy Vehicle from Chattanooga Land Rover Porsche Jaguar gets you a vehicle that's Like New but at a pre-owned price. This Porsche Retired Courtesy Vehicle is dealer-maintained and is eligible for special discounts. Including a 6 year, 100,000 mile warranty. Navigation, Sunroof, Heated Leather Seats, All Wheel Drive, Satellite Radio, Power Liftgate, Alloy Wheels, PORSCHE ENTRY & DRIVE, LANE CHANGE ASSIST (LCA), TRAILER HITCH W/O HITCH BALL, PANORAMIC ROOF SYSTEM, Trailer Hitch, RHODIUM SILVER METALLIC, BLACK, PARTIAL LEATHER SEAT TRIM, PREMIUM PACKAGE, Edmunds.com's review says The Cayenne's specialty is peerless stability on curvy roads, yet it's also decent in an off-road environment. **Serviced here****Non-Smoker vehicle**. Rhodium Silver Metallic exterior and Black interior, Cayenne trim. FUEL EFFICIENT 24 MPG Hwy/18 MPG City OPTION PACKAGES PREMIUM PACKAGE: Power Steering Plus, Bi-Xenon Lighting System, Porsche Dynamic Light System (PDLS) w/dynamic range control, headlight cleaning system and auxiliary main-beam headlights, Front Seat Ventilation, seat squabs and backrests in the front featuring three-stage ventilation and separate controls for left and right, 14-Way Power Seats, memory for driver and front passenger seat settings, steering column and exterior mirror positions and settings for lights, wipers BUY FROM AN AWARD WINNING DEALER From the first time we opened our dealership's doors in April of 2006, we have stayed true to our roots as a family-owned business. In otherwords, quality always wins out over quantity at Porsche Chattanooga. Pricing analysis performed on 4/2/2019. Horsepower calculations based on trim engine configuration. Fuel economy calculations based on original manufacturer data for trim engine configuration. Please confirm the accuracy of the included equipment by calling us prior to purchase. Leather Interior, Navigation, CD Player, Onboard Communications System, iPod/MP3 Input, All Wheel Drive, Alloy Wheels, Turbo Charged, Satellite Radio, Back-Up Camera, Power Liftgate. Cayenne trim. READ MORE! KEY FEATURES INCLUDE Leather Seats, Navigation, All Wheel Drive, Power Liftgate, Back-Up Camera, Turbocharged, Satellite Radio, iPod/MP3 Input, CD Player, Onboard Communications System, Aluminum Wheels, Keyless Start, Dual Zone A/C, Smart Device Integration, WiFi Hotspot. Rear Spoiler, MP3 Player, Keyless Entry, Remote Trunk Release, Privacy Glass. BUY FROM AN AWARD WINNING DEALER From the first time we opened our dealership's doors in April of 2006, we have stayed true to our roots as a family-owned business. In otherwords, quality always wins out over quantity at Porsche Chattanooga. Please confirm the accuracy of the included equipment by calling us prior to purchase. Heated Leather Seats, Nav System, Moonroof, Back-Up Camera, Power Liftgate, Satellite Radio, CARRARA WHITE METALLIC, iPod/MP3 Input, BOSE SURROUND SOUND SYSTEM, PREMIUM PACKAGE, SPORT CHRONO PACKAGE, ADAPTIVE CRUISE CONTROL, 14-WAY POWER SEATS W/MEMORY PACKAGE, All Wheel Drive, PANORAMIC ROOF SYSTEM, POWER STEERING PLUS, WHEELS: 20 CAYENNE DESIGN, ** Premium Package **** Sport Chrono Package **** Lane Change Assist (LCA) **** Adaptive Cruise (ACC) **** Porsche Entry and Drive **** Heated Seats **** 14-Way Comfort Seating **** 20 Alloy Rims ****back up camera****Navigation**. V6 trim, Carrara White Metallic exterior and Black interior. READ MORE! KEY FEATURES INCLUDE Leather Seats, Navigation, All Wheel Drive, Power Liftgate, Back-Up Camera, Satellite Radio, iPod/MP3 Input, Onboard Communications System, Dual Zone A/C, Heated Leather Seats Rear Spoiler, MP3 Player, Privacy Glass, Child Safety Locks, Steering Wheel Controls. OPTION PACKAGES PREMIUM PACKAGE: Comfort Access, access to lock and unlock the car without active use of the key and contactless opening and closing of the rear hatch by foot gesture, 14-Way Power Seats w/Memory Package, memory for storing personalized settings for driver and front passenger seat height, squab, backrest angle, fore/aft position, seat squab length, 4-way lumbar support, steering column and exterior mirror positions and settings for lights, wipers, air conditioning, door locking, instrument cluster and PCM on the key remote, Automatically Dimming Mirrors, exterior and rear-view mirrors, Ambient Lighting, 7 light schemes in the roof console BUY FROM AN AWARD WINNING DEALER From the first time we opened our dealership's doors in April of 2006, we have stayed true to our roots as a family-owned business. In otherwords, quality always wins out over quantity at Porsche Chattanooga. Horsepower calculations based on trim engine configuration. Please confirm the accuracy of the included equipment by calling us prior to purchase. Navigation, Leather Interior, CD Player, Telematics, Auxiliary Audio Input, All Wheel Drive, Aluminum Wheels, Turbo Charged, Satellite Radio, Back-Up Camera, Power Liftgate. Cayenne trim. AND MORE! KEY FEATURES INCLUDE Leather Seats, Navigation System, All Wheel Drive, Power Liftgate, Back-Up Camera, Turbocharged, Satellite Radio, Auxiliary Audio Input, CD Player, Telematics, Aluminum Wheels, Keyless Start, Multi-Zone A/C, Smart Device Integration, WiFi Hotspot Rear Spoiler, MP3 Player, Privacy Glass, Remote Trunk Release, Keyless Entry. VISIT US TODAY From the first time we opened our dealership's doors in April of 2006, we have stayed true to our roots as a family-owned business. In otherwords, quality always wins out over quantity at Porsche Chattanooga. Please confirm the accuracy of the included equipment by calling us prior to purchase. NAV, Leather Seats, CD Player, Onboard Communications System, iPod/MP3 Input, All Wheel Drive, Alloy Wheels, Turbo, Satellite Radio, Back-Up Camera, Power Liftgate. Cayenne trim. AND MORE! KEY FEATURES INCLUDE Leather Seats, Navigation, All Wheel Drive, Power Liftgate, Back-Up Camera, Turbocharged, Satellite Radio, iPod/MP3 Input, CD Player, Onboard Communications System, Aluminum Wheels, Keyless Start, Dual Zone A/C, Smart Device Integration, WiFi Hotspot. Rear Spoiler, MP3 Player, Keyless Entry, Remote Trunk Release, Privacy Glass. WHY BUY FROM US From the first time we opened our dealership's doors in April of 2006, we have stayed true to our roots as a family-owned business. In otherwords, quality always wins out over quantity at Porsche Chattanooga. Please confirm the accuracy of the included equipment by calling us prior to purchase. Leather, Nav System, CD Player, Onboard Communications System, iPod/MP3 Input, All Wheel Drive, Aluminum Wheels, Turbo Charged Engine, Satellite Radio, Back-Up Camera, Power Liftgate. Cayenne trim. READ MORE! KEY FEATURES INCLUDE Leather Seats, Navigation, All Wheel Drive, Power Liftgate, Back-Up Camera, Turbocharged, Satellite Radio, iPod/MP3 Input, CD Player, Onboard Communications System, Aluminum Wheels, Keyless Start, Dual Zone A/C, Smart Device Integration, WiFi Hotspot. Rear Spoiler, MP3 Player, Keyless Entry, Remote Trunk Release, Privacy Glass. MORE ABOUT US From the first time we opened our dealership's doors in April of 2006, we have stayed true to our roots as a family-owned business. In otherwords, quality always wins out over quantity at Porsche Chattanooga. Please confirm the accuracy of the included equipment by calling us prior to purchase. Leather Seats, NAV, CD Player, Onboard Communications System, iPod/MP3 Input, All Wheel Drive, Alloy Wheels, Turbo, Satellite Radio, Back-Up Camera, Power Liftgate. Cayenne trim. SEE MORE! KEY FEATURES INCLUDE Leather Seats, Navigation, All Wheel Drive, Power Liftgate, Back-Up Camera, Turbocharged, Satellite Radio, iPod/MP3 Input, CD Player, Onboard Communications System, Aluminum Wheels, Keyless Start, Dual Zone A/C, Smart Device Integration, WiFi Hotspot Rear Spoiler, MP3 Player, Keyless Entry, Remote Trunk Release, Privacy Glass. WHY BUY FROM US From the first time we opened our dealership's doors in April of 2006, we have stayed true to our roots as a family-owned business. In otherwords, quality always wins out over quantity at Porsche Chattanooga. Please confirm the accuracy of the included equipment by calling us prior to purchase. Leather Interior, Navigation, Sunroof, Satellite Radio, Back-Up Camera, Alloy Wheels, Turbo Charged, All Wheel Drive, Power Liftgate, Panoramic Roof. S trim. AND MORE! KEY FEATURES INCLUDE Leather Seats, Navigation, Sunroof, Panoramic Roof, All Wheel Drive, Power Liftgate, Back-Up Camera, Turbocharged, Satellite Radio, iPod/MP3 Input, CD Player, Onboard Communications System, Aluminum Wheels, Keyless Start, Dual Zone A/C Rear Spoiler, MP3 Player, Keyless Entry, Privacy Glass, Remote Trunk Release. BUY FROM AN AWARD WINNING DEALER From the first time we opened our dealership's doors in April of 2006, we have stayed true to our roots as a family-owned business. In otherwords, quality always wins out over quantity at Porsche Chattanooga. Please confirm the accuracy of the included equipment by calling us prior to purchase. Leather, Nav System, Moonroof, Satellite Radio, Back-Up Camera, Aluminum Wheels, Turbo Charged Engine, All Wheel Drive, Power Liftgate, Panoramic Roof. S trim. SEE MORE! KEY FEATURES INCLUDE Leather Seats, Navigation, Sunroof, Panoramic Roof, All Wheel Drive, Power Liftgate, Back-Up Camera, Turbocharged, Satellite Radio, iPod/MP3 Input, CD Player, Onboard Communications System, Aluminum Wheels, Keyless Start, Dual Zone A/C Rear Spoiler, MP3 Player, Keyless Entry, Privacy Glass, Remote Trunk Release. BUY FROM AN AWARD WINNING DEALER From the first time we opened our dealership's doors in April of 2006, we have stayed true to our roots as a family-owned business. In otherwords, quality always wins out over quantity at Porsche Chattanooga. Please confirm the accuracy of the included equipment by calling us prior to purchase. Leather Interior, Navigation, Sunroof, Satellite Radio, Back-Up Camera, Alloy Wheels, Turbo Charged, All Wheel Drive, Power Liftgate, Panoramic Roof. S trim. CLICK NOW! KEY FEATURES INCLUDE Leather Seats, Navigation, Sunroof, Panoramic Roof, All Wheel Drive, Power Liftgate, Back-Up Camera, Turbocharged, Satellite Radio, iPod/MP3 Input, CD Player, Onboard Communications System, Aluminum Wheels, Keyless Start, Dual Zone A/C Rear Spoiler, MP3 Player, Keyless Entry, Privacy Glass, Remote Trunk Release. BUY FROM AN AWARD WINNING DEALER From the first time we opened our dealership's doors in April of 2006, we have stayed true to our roots as a family-owned business. In otherwords, quality always wins out over quantity at Porsche Chattanooga. Please confirm the accuracy of the included equipment by calling us prior to purchase.